Assoc. Prof’s Andrew Bonnell’s research interests include: Modern German and European history. German cultural and intellectual history in social and political context. History of German Social Democracy. Assoc. 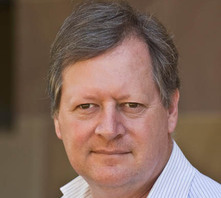 Prof. Bonnell holds a BA (Hons) (Sydney), and a PhD (Sydney). He is currently Associate Professor in History at UQ. His teaching areas include Modern German history, European intellectual history, European fascism and the radical right, Film and history and Nationalism. Assoc. Prof. Bonnell’s current research projects include Robert Michels and the political discontents of modernity and aspects of the history of German Social Democracy. He is also the editor (History), Australian Journal of Politics and History. Germans in Queensland: 150 years. Edited by Andrew G. Bonnell and Rebecca Vonhoff Frankfurt am Main, Germany: Peter Lang, 2012. An American witness in Nazi Frankfurt: The diaries of Robert W. Heingartner, 1928-1937. Edited by Andrew G. Bonnell Bern, Switzerland: Peter Lang, 2011. Bonnell, A. G. Shylock in Germany: Antisemitism and the German Theatre from The Enlightenment to the Nazis. United Kingdom, United States: Tauris Academic Studies, 2008. Bonnell, Andrew G. The People's Stage in Imperial Germany: Social Democracy and Culture 1890-1914. London, England: Tauris Academic Studies, 2005. Bonnell, Andrew G. (2018). Social democrats and Germany’s war in South-West Africa, 1904–7: the view of the socialist press. In Matthew P. Fitzpatrick and Peter Monteath (Ed. ), Savage worlds: German encounters abroad, 1798-1914 (pp. 206-229) Manchester, United Kingdom: Manchester University Press. Bonnell, Andrew G. (2015). A ‘very valuable book’: Karl Marx and Appian. In Kathryn Welch (Ed. ), Appian’s Roman History: Empire and Civil War (pp. 15-21) Swansea, Wales, United Kingdom: The Classical Press of Wales. Bonnell, Andrew G. (2015). Editor's Preface. In Andrew G. Bonnell (Ed. ), The Grand Deception: Churchill and the Dardanelles (pp. 1-4) Newport, NSW, Australia: Big Sky Publishing. Bonnell, Andrew G. and Vonhoff, Rebecca (2012). Introduction. In Andrew G. Bonnell and Rebecca Vonhoff (Ed. ), Germans in Queensland: 150 years 11 ed. (pp. 1-8) Frankfurt am Main: Peter Lang. Bonnell, Andrew G. (2012). Missing links? the Queensland labour movement and German social democracy before 1914. In Andrew Bonnell and Rebecca Vonhoff (Ed. ), Germans in Queensland: 150 years 11 ed. (pp. 115-127) Frankfurt am Main: Peter Lang. Bonnell, Andrew G. (2011). Introduction. In Andrew G. Bonnell (Ed. ), An American Witness in Nazi Frankfurt The Diaries of Robert W. Heingartner, 1928-1937 (pp. 1-12) Bern, Berlin, Bruxelles, Frankfurt am Main, New York, Oxford, Wien: Peter Lang. Bonnell, Andrew G. (2010). Stephen Roberts and the Nazi threat, 1938-39. In Emily Turner-Graham and Christine Winter (Ed. ), National socialism in Oceania: A critical evaluation of its effect and aftermath (pp. 185-199) Frankfurt am Main ; New York: Peter Lang Publishing. Bonnell, A. G. (2000). Reforming the Reich? Social democracy and the German state, 1890-1914. In J. A. Moses and C. Pugsley (Ed. ), The German Empire and Britain's Pacific Dominions, 1871-1919. Essays on the Role of Australia and New Zealand in World Politics in the Age of Imperialism (pp. 395-414) Claremont, California: Regina Books. Bonnell, Andrew G. (2018) Review of Red Saxony: election battles and the spectre of democracy in Germany, 1860-1918. European History Quarterly, 48 2: 382-384. Bonnell, Andrew G. (2017) Review of Rationed Life: Science, Everyday Life, and Working-Class Politics in the Bohemian Lands, 1914-1918. Labour History, 112: 220-221. Bonnell, Andrew G. (2017) Review of Hartmut Berghoff and Cornelia Rauh, The respectable career of Fritz K.: the making and remaking of a provincial Nazi leader. European History Quarterly, 47 1: 111-112. Bonnell, Andrew G. (2016) Democratisation or management and corporate capture? Theses on the governance crisis of Australia’s semi-privatised public universities. Australian Universities' Review, 58 2: 26-32. Bonnell, Andrew G. (2016) Tide or tsunami? The impact of metrics on scholarly research. Australian Universities' Review, 58 1: 54-61. What does it mean to think historically in the twenty-first century? Bonnell, Andrew G. (2016) What does it mean to think historically in the twenty-first century?. QHistory: Journal of the Queensland History Teachers’ Association, 2016 15-19. Bonnell, Andrew G. (2015) Review of Ralf Hoffrogge, Working-Class Politics in the German Revolution: Richard Müller, the Revolutionary Shop Stewards and the Origins of the Council Movement. Labour History, 109: 213-214. Bonnell, Andrew G. (2015) The German elites and the Nazi takeover of power in 1933. Q-History, 2015 31-37. Bonnell, Andrew G. (2014) The Great Catastrophe: 1914 and the End of the Second International. The Queensland Journal of Labour History, 19: 19-29. Bonnell, Andrew G. (2014) Germanskie eliti i zakhvat vlasti natsistami v 1933g. Bereginya 777 Sova, 4 23: 173-182. Bonnell, Andrew G. (2012) Review of How to change the world. Tales of Marx and Marxism. Australian Journal of Politics and History, 58 3: 474-475. Bonnell, Andrew G. (2011) Binoy Kampmark, “‘No peace with the Hohenzollerns’: American attitudes on political legitimacy towards Hohenzollern Germany, 1917-1918.”. H-Diplo Article Reviews, 300: 1-4. Confronting Hitler. German Social Democrats in defense of the Weimar Republic, 1929-1933. Bonnell, Andrew G. (2011) The Nazi re-ordering of Europe. QHistory, 2011 36-45. The Kaiser's Blue Pencils: Review of Goldstein, Robert Justin, ed., "The Frightful Stage: Political Censorship of the Theater in Nineteenth-Century Europe" and Stark, Gary D., "Banned in Berlin: Literary Censorship in Imperial Germany, 1871-1918"
Bonnell, Andrew (2010) The Kaiser's Blue Pencils: Review of Goldstein, Robert Justin, ed., "The Frightful Stage: Political Censorship of the Theater in Nineteenth-Century Europe" and Stark, Gary D., "Banned in Berlin: Literary Censorship in Imperial Germany, 1871-1918". H-German, H-Net Reviews, 1-3. Bonnell, Andrew G. (2010) German missionaries in Queensland. Queensland Review, 17 1: 86-88. Bonnell, Andrew (2009) "An historian's life: Max crawford and the politics of academic freedom" by Fay Anderson. Australian Journal of Political Science, 44 2: 355-356. Was German social democracy before 1914 antisemitic? Bonnell, A. G. (2008) Hitler's Bavarian Antagonist. Georg Moenius and the Allgemeine Rundschau of Munich, 1929-1933. By Gregory Munro (Lewiston, Queenston, Lampeter: Edwin Mellen Press, 2006), pp. xxv + 510, photographs; US$139.95. Australian Journal of Politics and History, 54 1: 162-164. Bonnell, AG (2007) War experiences in rural Germany, 1914-1923. Australian Journal of Politics And History, 53 3: 485-486. Bonnell, A. G. (2005) Hitler's last chief of foreign intelligence. Allied interrogations of Walter Schellenberg. Australian Journal of Politics And History, 51 1: 143-144. Bonnell, A. G. (2005) Review of Hitler's last chief for foreign intelligence. Allied interrogations of Walter Schellenberg by R R Doerries. Australian Journal of Politics and History, 1 51: 143-144. Bonnell, Andrew G. (2004) Australian Journal of Politics and History: Foreword. Australian Journal of Politics and History, 50 2: . Review of Larry Eugene Jones Crossing boundaries. The exclusion of minorities in Germany and the United States. Bonnell, A. G. (2004) Review of Larry Eugene Jones Crossing boundaries. The exclusion of minorities in Germany and the United States.. Australian Journal of Politics & History, 50 1: 143-144. Bonnell, A. G. (2004) Wilhelminism and Its Legacies: German Modernities and the Meanings of Reform, 1890-1930. Essays for Hartmut Pogge von Strandmann. Australian Journal of Politics & History, 50 3: 454-455. Bonnell, A. G. (2003) German Federalism: Past, present, future. Australian Journal of Politics And History, 49 1: 145-146. Bonnell, A. G. (2003) Review of History of Germany 1918-2000 by Mary Fullbrook. History Australia: Journal of the Australian Historical Assocation, 1 1: 121-123. Bonnell, A. G. (2002) Review of Essays in Economic Sociology. By Max Weber. The European Legacy, 7 2: 235-236. Bonnell, A. G. (2001) Jews on the German stage, 1933-1945. Proceedings of the University of Queensland History Research Group, 12 58-67. Bonnell, A. G. (2001) Leni Riefenstahl: Sources and debates. Part 1. Teaching History, 35 2: 16-22. Bonnell, A. G. (2001) Sympathy for the SS again? Historical understanding, and misunderstandings. Australian Historical Association Bulletin, 93 21-27. Bonnell, AG (2001) Western historiography - A cross-cultural debate. Australian Journal of Politics And History, 47 3: 440-441. Bonnell, A. G. (2001) Why universities matter.. Australian Journal of Politics And History, 47 3: 432-433. Bonnell, A. G. (2000) Review of Roger Chickering, Imperial Germany and the Great War, 1914-1918. Australian Journal of Politics and History, 46 1: 148-148. Between reform and revolution. German socialism and communism from 1840 to 1990. Bonnell, AG (2000) Between reform and revolution. German socialism and communism from 1840 to 1990.. Australian Journal of Politics And History, 46 443-444. Imperial Germany and the Great War, 1914-1918. Bonnell, A (2000) Imperial Germany and the Great War, 1914-1918.. Australian Journal of Politics And History, 46 148-148. Bonnell, A. G. (2000) Review of David E. Barclay & Eric D. Weitz (eds), Between Reform and Revolution: German Socialism and Communism from 1840 to 1990. Australian Journal of Politics & History, 46 3: 443-444. Bonnell, A. G. (2000) Review of Jonathan Sperber, The Kaiser's Voters: Electors and Elections in Imperial Germany. Australian Journal of Politics & History, 46 1: 146-147. Bonnell, A. G. (2000) Review of Jrgen Tampke (ed.) Ruthless Warfare: German Military Planning and Suveilance in the Australia-New Zeland Region Before the Great War. Diaspora Negotiating Asian-Australia. Special joint issue of Journal of Australian Studies and Australian Cultural History, 209-210. Bonnell, A. G. (2000) Review of Manfred B. Steger, The Quest for Evolutionary Socialism. Eduard Bernstein and Social Democracy. Internationale Wissenschaftliche Korrespondenz zur Geschichte der deutschen Arbeiterbewegung, 36 2: 251-252. The Kaiser's voters: Electors and elections in Imperial Germany. Bonnell, A (2000) The Kaiser's voters: Electors and elections in Imperial Germany.. Australian Journal of Politics And History, 46 146-147. Bonnell, A. G. (1999) Review of Alter, G. and Monteath, P. (eds) Rewriting the German Past. History and Identity in the New Germany. Australian Journal of Politics & History, 45 3: 444-445. Rewriting the German past. History and identity in the new Germany. Bonnell, A (1999) Rewriting the German past. History and identity in the new Germany.. Australian Journal of Politics And History, 45 444-445. Bonnell, AG (1997) America's man in Kaunas, 1926-28: Notes from a diary (Robert Wayne Heingartner). Journal of Baltic Studies, 28 3: 255-270. Bonnell, AG (1997) Germany: A new social and economic history - Ogilvie,S, Scribner,B. Australian Journal of Politics And History, 43 2: 279-280. Bonnell, AG (1997) Imperial Germany 1867-1918: Politics, culture, and society in an authoritarian state - Mommsen,WJ. Australian Journal of Politics And History, 43 1: 102-103. Bonnell, Andrew G. (1996) Socialism and republicanism in imperial Germany. Australian Journal of Politics and History, 42 2: 201-202. Bonnell, Andrew G. (2014). German immigrants to Australia: multiple horizons and identities. In: Proceedings of the International Symposium on International Migration and Qiaoxiang Studies. 3rd International Symposium on International Migration and Qiaoxiang Studies 2014, Jiangmen, China, (205-214). 11-14 December, 2014. Bonnell, Andrew G. (2011). From Saxony to South Brisbane: The German-Australian socialist Hugo Kunze. In: Melanie Nolan, Labour History and its People: Papers from the twelfth national labour history conference. 12th Biennial National Labour History Conference, Canberra, Australia, (299-309). 15-17 September 2011. Bonnell, A. G. (2007). Reds In The Ranks: Social Democrats In The Kaiser's Army. In: Mees, B. and Keohne, S. P., XVth Biennial Conference Of The Australasian Association For European History. Australasian Association For European History Conference, Melbourne, Australia, (115-128). 11-15 July, 2005. Bonnell, Andrew G. (2004). Australian Journal of Politics and History: Foreword. In: , , (). .
Bonnell, A. G. (2004). Robert Michels and the intellectual origins of Fascism. In: S.Atzert and A.Bonnell, Proceedings of the Fourteenth Biennial Conference of the Australasian Association for European History: Europe's Pasts and Presents. Fourteenth Biennial Conference of the Australian Association for European History, Brisbane Australia, (75-87). July 2003. Bonnell, A. G. (2003). Did they read Marx? German social democratic workers and Marx reception before 1914. In: Leitz, Christian, Zizek and Joseph, Proceedings of the Thirteenth Biennial Conference of the Australasian Association for European History. Thirteenth Biennial Conference of the AAEH, Auckland, (83-96). July 2001. Bonnell, A. G. (2000). Shylock in the 'Third Reich'. In: F. Oswald and M. Perkins, Europe - Divided or United? Proceedings of the Twelfth Biennial Conference of the Australasian Association for European History. Twelfth Biennial Conference of the Australasian Association for European History, University of Western Australia, Perth, (331-343). 5-9 July 1999. Europe's Pasts and Presents: Proceedings of the Fourteenth Biennial Conference of the Australasian Association for European History (2004) . Edited by Stephan Atzert and Andrew Bonnell. Fourteenth Biennial Conference of the Australasian Association for European History, 7th - 11th July 2003, Brisbane, Australia. Alex Macdonald. The role of the Communist Party of Australia in Queensland Industrial Relations from the 1930s to the 1960s. Looking to the East: German business and the planning and implementation of the occupation of the Soviet Union 1939-42. Olgem eestlased, aga saagem ka eurooplasteks: Estonia's experience of European Integration. Caminante, no hay puentes, se hace puentes al andar. (Voyager, there are no bridges, one builds them as one walks): Art, theater, and the transformation of identity amongst Latinos of the American Southwest (1968-1992). Bring the Bombs out of the Basement:The United States, the NPT, and the sui generis states of India, Pakistan and Israel, 1961-1975.